The leaves are falling off the trees but the weather is still mild. Nevertheless last week we tried out the logs and open fire. The production went well until the fire was well lit when the room filled up with smoke. I spent two hours with the window open trying to improve the draw and waiting for the smoke to clear. 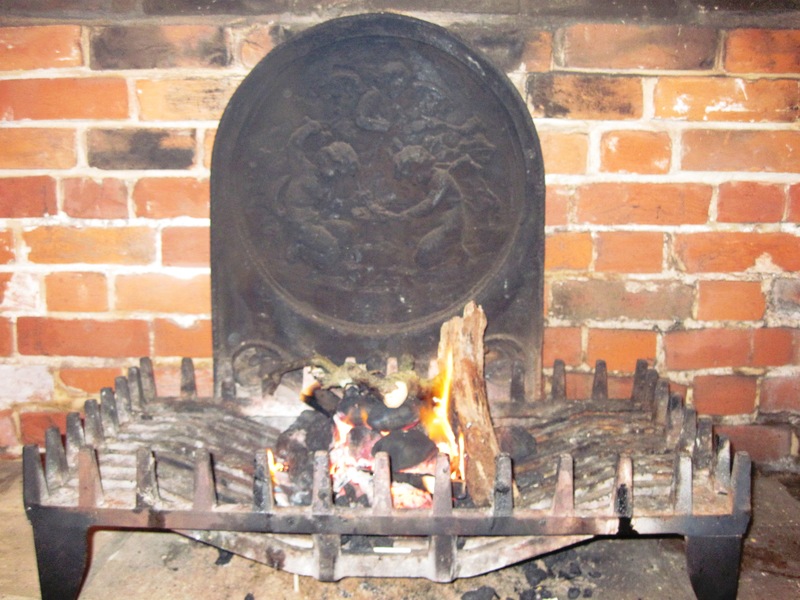 Even so the room still smells like a kipperie.Can roasted chestnuts by an open fire be far away? 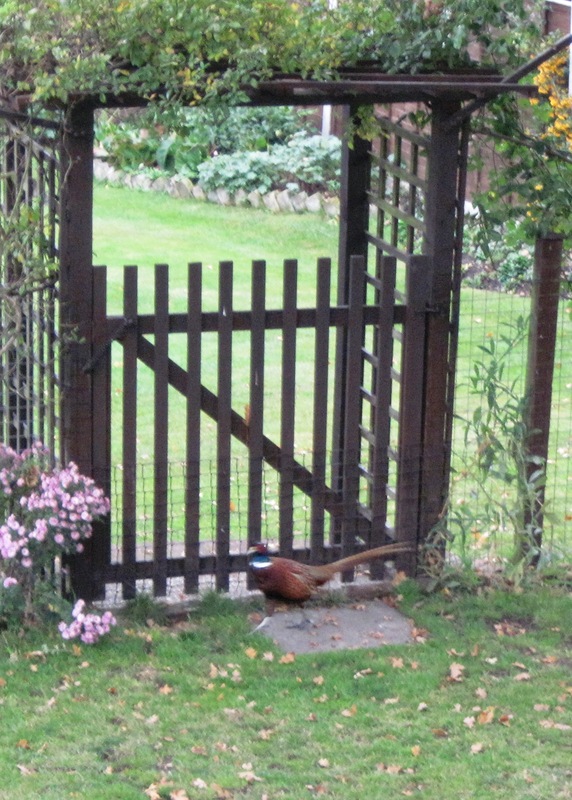 Meanwhile today’s visitors included this male pheasant who dropped in and only left when I called out “bread sauce”.